Top picture: Yorkshire CCC captain Andrew Gale, the Lord Mayor of Leeds Councillor David Congreve and Leeds Rhinos captain Kevin Sinfield. Middle picture: Councillor Lucinda Yeadon, city boxing hero Josh Warrington and the Lord Mayor of Leeds, Councillor David Congreve. Bottom picture: Players and management from Yorkshire CCC and the Leeds Rhinos join the Lord Mayor of Leeds Councillor David Congreve, the Lady Mayoress of Leeds Janet Harper JP, and other invited guests. 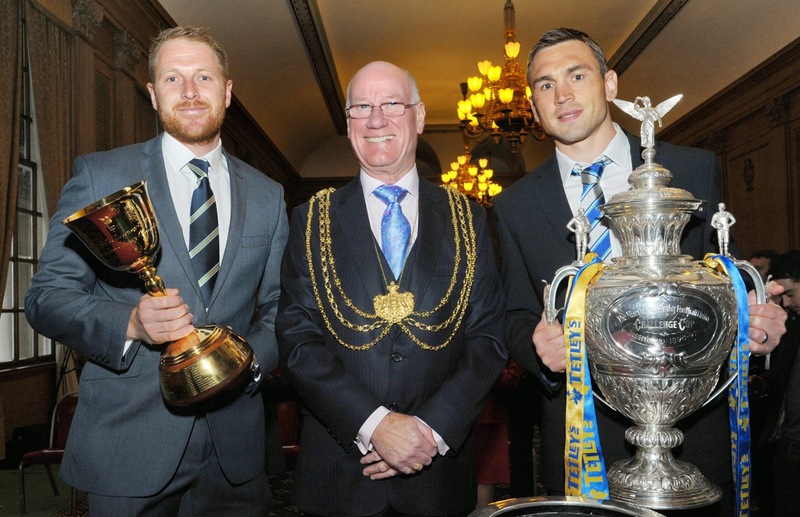 Leeds Rhinos and Yorkshire County Cricket Club’s fantastic trophy winning achievements this year have been recognised with a special civic reception hosted by the Lord Mayor of Leeds, Councillor David Congreve. 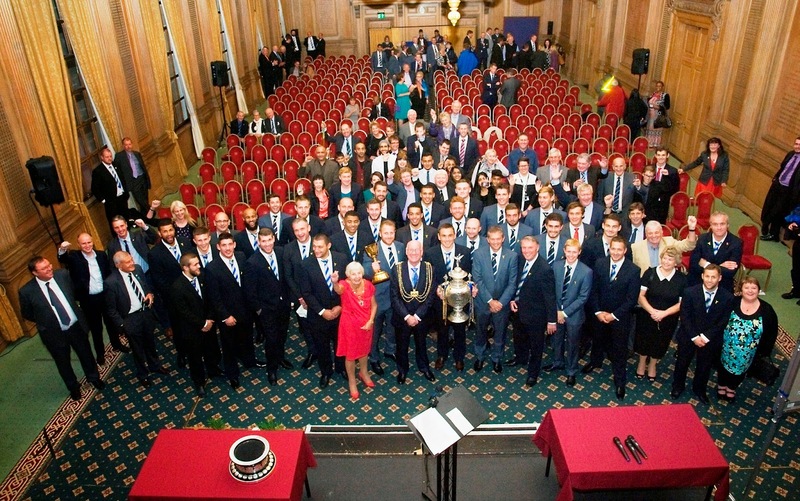 Players and management from both clubs were in attendance at Leeds Civic Hall to be congratulated on their success by the Lord Mayor and other invited guests including Councillor Lucinda Yeadon. This follows a fantastic season for both sides, which saw Yorkshire CCC win the LV= County Championship and the Rhinos secure the Tetley Challenge Cup at Wembley. 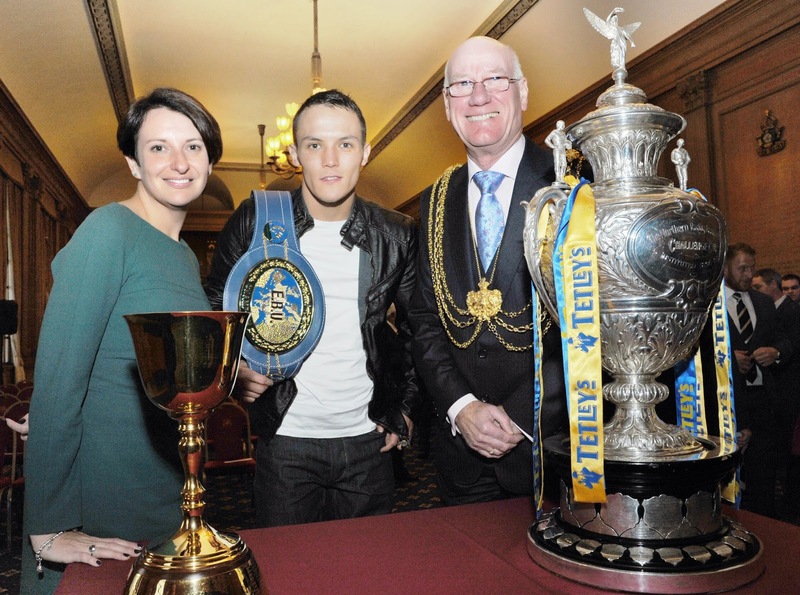 Also making an appearance at the event was boxing hero Josh Warrington, who was congratulated on his achievement at winning the European title by the Lord Mayor, and leader of Leeds City Council, Councillor Keith Wakefield. "We were delighted to welcome the players and management from Yorkshire CCC and the Leeds Rhinos’ to the civic hall for a special civic reception in honour of their tremendous achievements this year. "The quality, dedication and great skill which both clubs showed in winning their respective trophies were absolutely fantastic, and continue to be a source of great pride to the people of Leeds." As part of the celebrations, which saw both trophies on display at the civic hall, players including Andrew Gale and Kevin Sinfield took part in a special Q&A session on the stage. "To see both Yorkshire CCC and the Leeds Rhinos winning trophies this year is amazing, but what is also fantastic is the work which they continue to undertake in our communities. This really cannot be underestimated, and is extremely inspirational, especially to our young people."